Ever since a photo of Mister Leo Dog snuggling one of my new quilts made an appearance in my blog header and on the front page of my website, I have been snowed with emails about whether or not this is the Gathering Flowers Quilt pattern, which fabrics exactly went into making it, did I hand quilt it and if so with what, oh and is there a kit. So Leo and I thought we would answer those of you who asked and the rest of you can just look at the pictures of the dog which in my opinion are worthy of collapsing from cuteness. But who am I to say, really? Actually I'll do all the responding. Leo will edit. Yes this is my Gathering Flowers Quilt pattern. Isn't it exciting how different one pattern can look if you completely switch up the fabrics? I love the original version that is on the pattern cover, but those swirly flowers were begging me to be scrapped together with a little of everything. I chose to use all one block style for this quilt (the pattern offers two), which is just flat piecing as opposed to the gathered rosette style block. It definitely saves time, and allows for more fabric variety in the flower. And this variety of fabrics includes all my Innocent Crush cottons, all of the Pastry Line stripes and the Square Dance panels (now printed on smooth cotton voile). My color plan of attack mostly just had me keeping the flower centers (pie shapes) as lighter tones, the flower petals as medium tones, and the background shapes as deeper tones. I just cut up everything, made each block sort of without thought, then arranged the blocks together with a pretty careful eye for color balance. In the end I sort of wished I had switched the lighter tones to the petals and the medium tones to the flower centers. But that's why I keep making quilts. Amen. And a kit that I'm calling the Gathering (Wild)flowers Quilt. This is really as wild as I get these days. 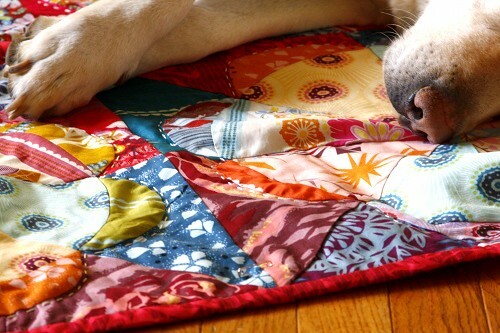 I can't decide which is more worthy of admiration-- the quilt or the dog! Gorgeous! I love it all, the dog the qui and you for all the energy you put into these beautiful sewings that you share with us. 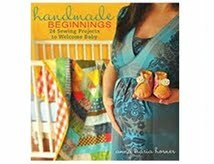 I'm going to have to get that quilt pattern as soon as my budget says yes, go ahead and buy yourself something neat! Amen to making more quilts! Good dog, Leo! Very, very good dog. Obviously, he's got great taste. i have never attempted to make a quilt. i want to so bad! i love your prints. those rich colors are so beautiful! This quilt lovely. So so so pretty and well constructed! Inspirational! Both are beautiful. Pupprs and blankie! I love the quilt, yes, but I'd really like to pet Leo - he looks like a good dog indeed! My four year old daughter asks to see "the doggie picture" on a regular basis. 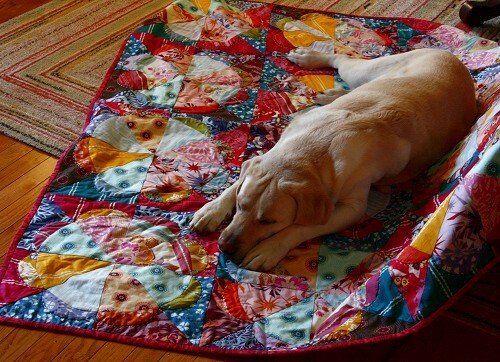 She also wants me to make a quilt like that one for our dog, Kacey to sleep on. Thank you for coming to the rescue. Woo hoo, thank you! Ever since that quilt appeared, I've been trying to figure out what it was and how to make it. I love it so much! Thanks so much for sharing! 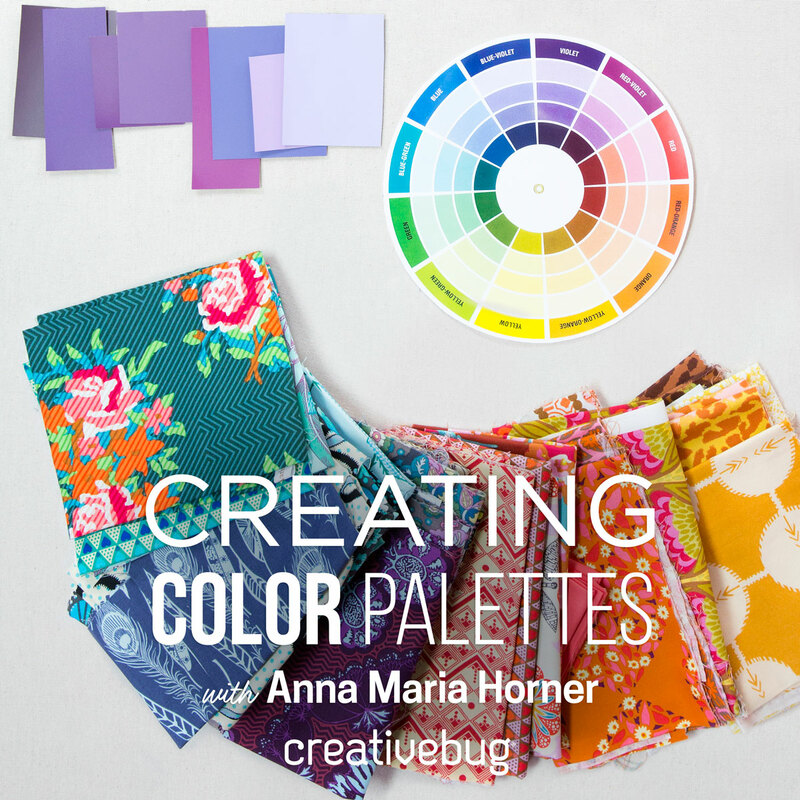 I am getting ready to start a new quilt and want to use bold colors, so this gives me some great ideas. Your work is so lovely, and the photos bring out those rich colors beautifully. 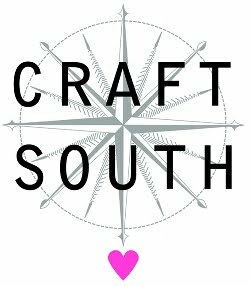 I found your website and ultimately, this blog, after following a link from a Facebook friend's page. I smiled when I read that you and your husband have six children. I grew up with four brothers and one sister. Life was adventurous! We took road trips every summer and that's a story of its own. It takes special people to raise a large family, and your life sounds very full and blessed! Looking forward to revisiting your blog. This quilt is so beautiful and Leo is as handsome as can be. Any chance you'll do a quilt kit in the fabrics of your original wildflowers quilt? I'm dreaming of a red and aqua scheme for my daughter's room as she gets ready for her "big girl" bed and that quilt is my dream! Anita- I wish that I could do the same quilt kit as the cover quilt, but the fabric for the Good Folks portion of it has gone out of print sadly -sorry! 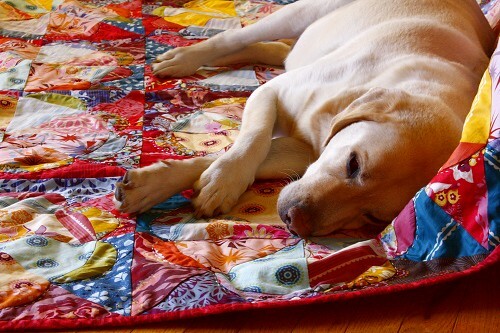 I am so loving the dog on the beautiful quilt as I am so missing mine whom I lost to cancer in November. Thank you Anna and Leo. The quilt is beautiful. Stunning color! 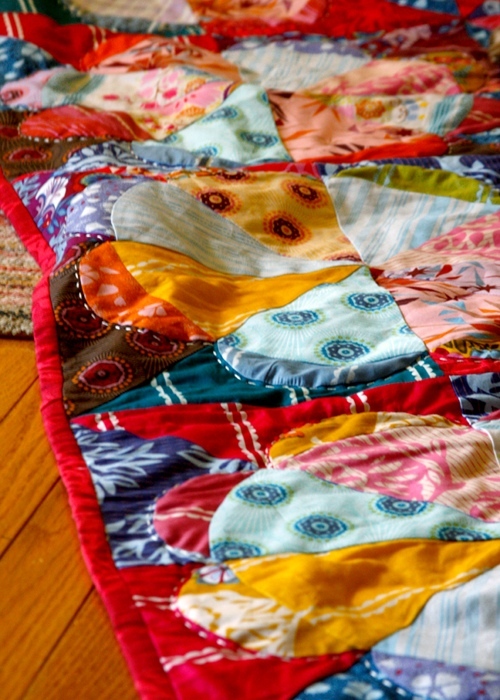 Wonderful quilts in this blog. 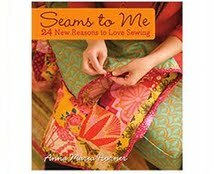 Makes me want to start quilting too. Thank you for sharing! Hi Leo! You look wonderful and your happy colourful quilt is really beautiful! A little late, I know. The quilt and the dog are gorgeous - you have convinced me to buy the pattern. However, I noticed when looking at the fabric requirements on your shop page that the foundation circles need "muslim". I'm not sure where to get that, but can I use "muslin" instead? ;) By the way, just received a fat quarter bundle of your Innocent Crush today and I'm not sure what to do with it, besides gaze at it lovingly!